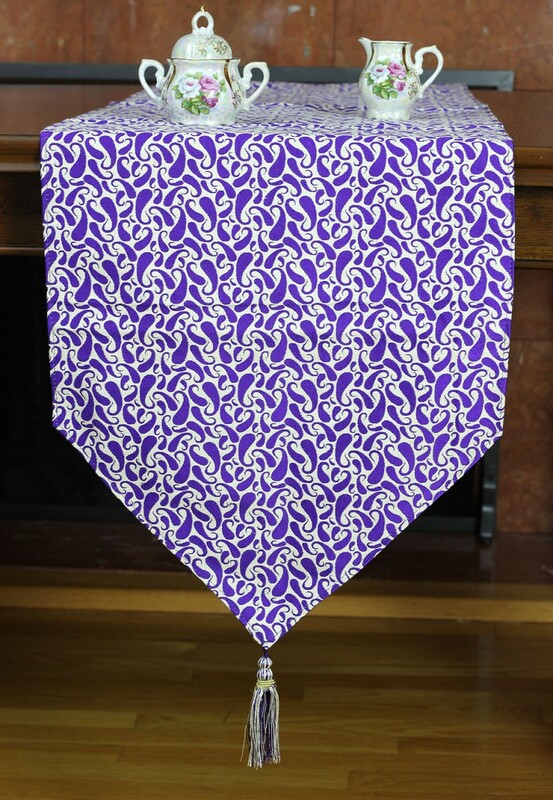 This beautiful jacquard paisley table runner is the perfect addition to your dining room, living room, or guest room table. 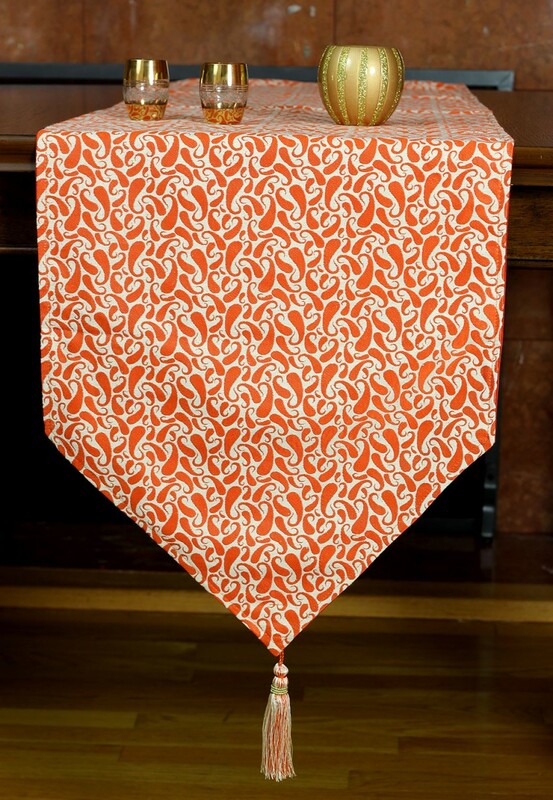 Adorn your table with a gorgeous, exotic table runner that instantly draws the eye. 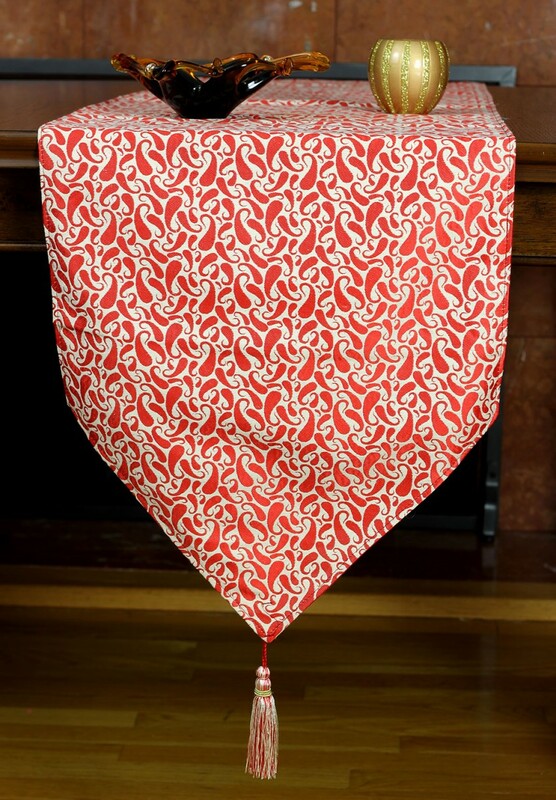 This breathtaking piece features a whimsical paisley design in two contrasting colors across the entirety of the runner, and boasts a tassel on each side to help weigh the runner down and keep it in place on your table. 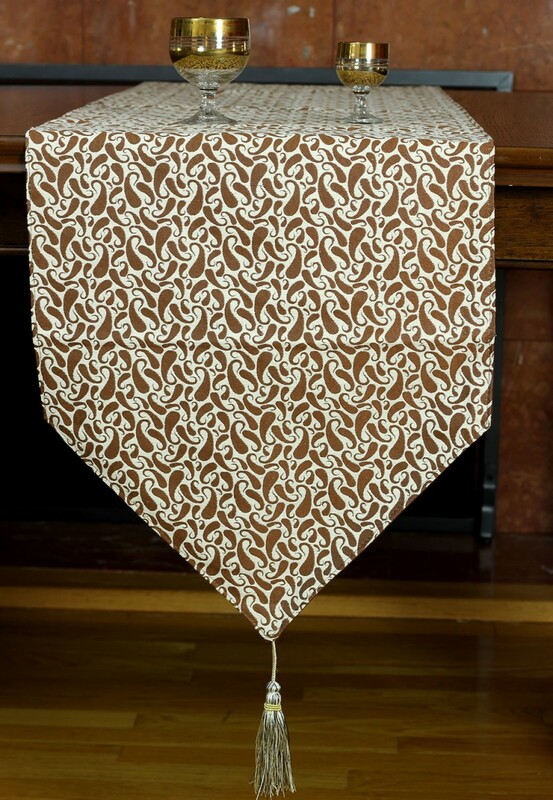 You’ll love how this table runner adds richness and beauty to your surroundings, and takes your home decor to the next level. Use it in your kitchen or dining room for a traditional look, or drape the runner over your living room coffee table or a bedroom dresser to let the creativity flow. 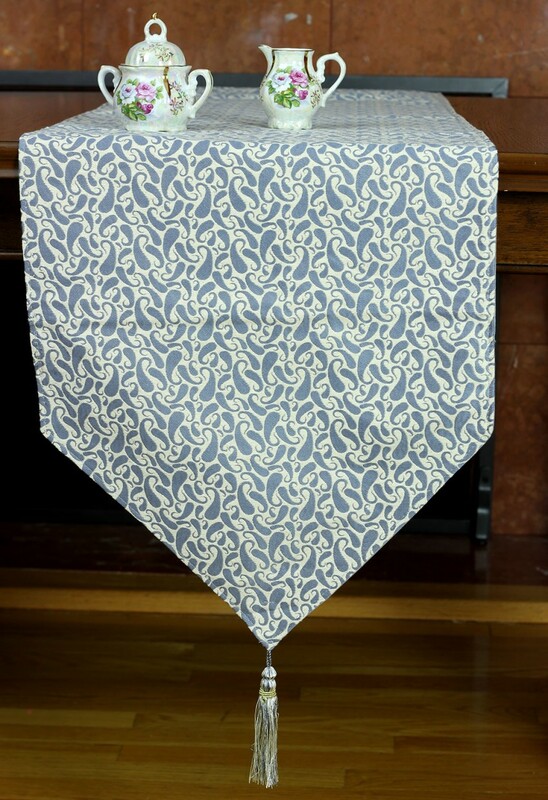 Where other table runners do little to boost the ambiance in your home, this stunning piece will become the new focal point of your favorite area.